Loop linking Vallorbe to Premier, descent to Romainmôtier, ascent to Vaulion and back to Vallorbe by passing Dent de Vaulion. Mountainbike excursion off the beaten track for cyclists who wish to combine physical effort with pure air, the Jura mountain flanks and its picturesque sites. An idyllic region which naturally lends itself to a sports challenge at the heart of a preserved site. 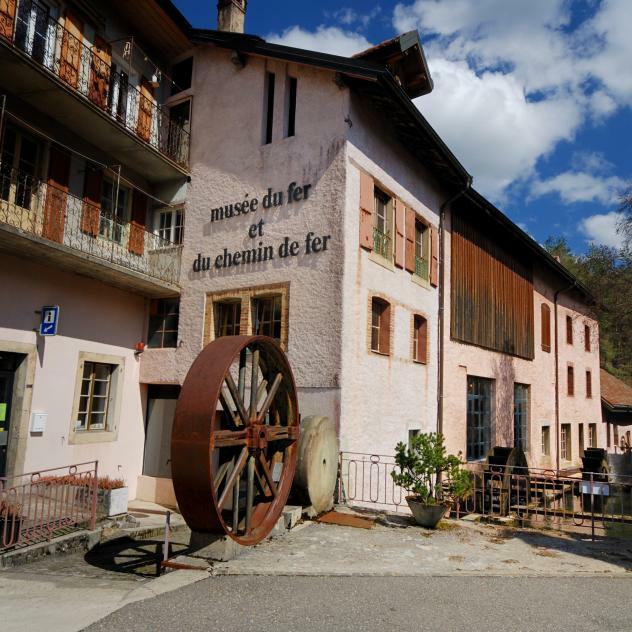 This loop takes you from Vallorbe to Permier via Côte de la Montagne and leads downhill towards Romainmôtier through the Forel forest. The route then passes the karstic spring Diey to the the small Nozon Valley and leads back to Vallorbe by passing Dent de Vaulion. Depending on the season, you will cross primulae-covered meadows, pass underneath resin-scented spruces and cross grassy pastures which sometimes feature ‘toblerones’, i.e. triangular-shaped defence vestiges dating back to the Second World War.